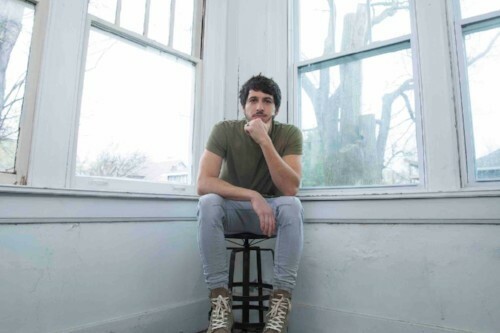 In less than three weeks, country music’s brightest new star Morgan Evans will release his highly anticipated debut U.S. album Things That We Drink To, via Warner Music Nashville / Warner Bros. Record. It comes after the Australian-born, Nashville songwriter’s debut single ‘Kiss Somebody’ secured him his first number 1 at country radio. Continuing to build momentum following the career milestone, Evans is poised for his second consecutive US smash single with ‘Day Drunk’. The party-ready, high-on-life tune has racked up on-demand streams in the millions and received critical acclaim from Rolling Stone as one of the ‘10 Best Country and Americana Songs of the Week’. And now, with more than 30 major US radio stations already on board, it was one of the most-added songs at country radio last week. To celebrate this, Evans has released a light-hearted, time-lapse video, which follows the popular Pedal Tavern around Nashville as riders “get a little day drunk” downtown. Watch the exclusive new ‘Day Drunk’ video HERE. Available October 12th, Things That We Drink To is a collection of 11 songs co-penned by Evans over the last two years and reflects his exciting journey since moving to Nashville from Australia. Each instrument heard on the project was played by Evans and the album’s producer, Chris DeStefano. Fans can pre-order Things That We Drink To now and instantly receive five songs. Evan has been touring relentlessly, selling out shows across the US and recently completed a headline tour throughout Australia with support from rising UK country artist Catherine McGrath. He is now currently supporting Chris Young on his Losing Sleep World Tour and last week played an unforgettable opening set at Nashville’s Bridgestone Arena. The Australia native amped up a sold-out crowd of nearly 14,000 fans making his debut on the high-profile Music City stage. Evans commanded the stage with his signature loop station, performing a diverse collection of tracks from Things That We Drink To. Showcasing his stellar musicianship as well his songwriting chops, Evans’ energetic set had the fired-up crowd dancing on their feet and was joined on stage by his wife Kelsea Ballerini to perform the album track ‘Dance With Me’.